When you own a home or a business, you always need to have a good working relationship with a septic service company that you can trust. You will have to have regular pumping of your septic tank and you need to have the system inspected and maintained on a regular basis. 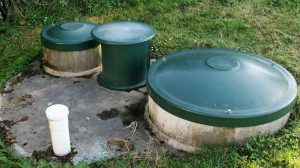 If you find that there are issues developing that may not be able to get repaired, you will need to think of a full septic tank system replacement in Forbes Hill to get you the results your property requires. Schleg Valley Construction is available to give you all of the advice and guidance that you need to have your septic tank system up and running and working as it should. If there are any problems that are developing, we can provide the right level of maintenance or repair that is required. However, there may come a time in the near future that repairs are no longer going to give you the results that you are after. Luckily, we have the skill and certification to offer you a full replacement of your system. Once you call our team, we can have someone come out to your location to discuss your residential or commercial needs. There is no project that is too big or too small for us, and we will be happy to do a full assessment and inspection to determine what needs to be done on your property. If replacement is suggested, we will be able to go through and create a whole new design for you. If you are in need of professional septic tank system replacement in Forbes Hill, you can look to Schleg Valley Construction. Call (425)312-6750 today! It is only natural that you would have concerns regarding a full replacement of your septic, but our team is there to answer questions and make the process as easy as possible.